Fairies are not necessarily nature elementals. In fact if you look through the vast amount of folklore on them you would be hard pressed to even describe the look of a fairy let alone what it is exactly. There are descriptions that range from malicious sprites, demonic spirits, and baby snatchers to diminutive angels. Few of the folklore stories even mention them within nature and then others use the word to describe any number of creatures usually associated with it. Fairy also comes from the word Fae, which describes any number of beings. In fact Fae describes most of the beings that have been mentioned on this site already. Everything from elves, brownies, sprites and even trolls (okay that wasn’t mentioned here but maybe it should have been!) Some even suggest that there isn’t an actual fairy creature but just a takeoff on a word used to describe all mythological creatures. So where do we get our perceived idea of a fairy being what we see in the picture on this page? A tiny, winged human looking creature doing magical things, sometimes in a natural setting is generally what we picture. Disney! There are a ton of Disney movies that have fairy characters. Generally they are magical, female and in most cases winged. They have been strewn throughout the Disney movies, in the classics like Cinderella and Peter Pan to the more recent movies like Maleficent which gave us a slightly different take on the traditional Disney fairy. So why talk about fairies here if we don’t even have a definition of them? 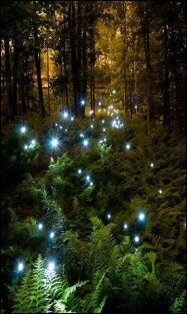 Well, because their actually is a fairy realm, a frequency that can be heard by some that brings out the fairies. While we may not clearly understand what they are or what they look like they are part of the magic of the other dimensions and that magic is part of why this site exists. Everything we have dreamed of, told stories of and written about comes from a place. We may not have all of the concepts correct, or have skewed things beyond belief or just misunderstood things but they have a basis in reality and here is where we try and uncover the truth so that we may live in harmony with all the fae.